Systems help you grow your retail business. 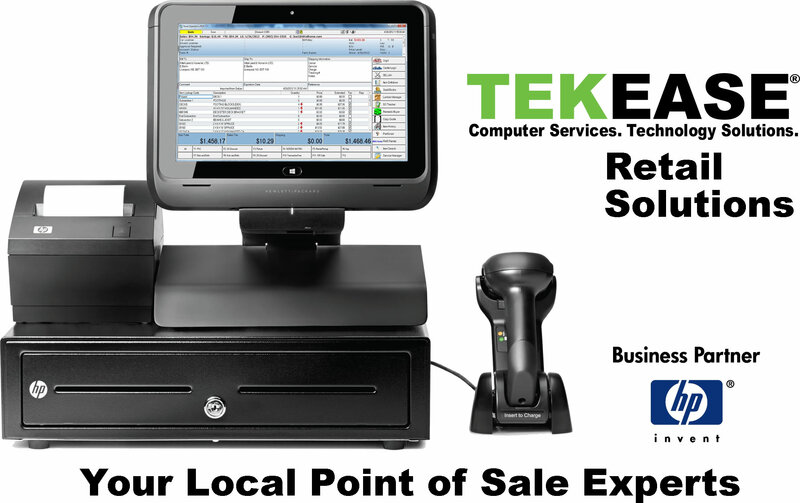 Point of Sale Systems from TEKEASE will keep things organized for your business. In today’s competitive business market, it’s more important than ever for retailers to understand their customers and their buying patterns. If you are still using a cash register to manage your business, you could be saving hundreds of hours per year with an integrated point-of-sale system. Can I rapidly tell what I need to order without having to look at the shelves? Do I know who my top 20 clients were last year, last month, last week? Do I communicate with precision to my clients regarding their specific buying patterns? Does it take me more than 40 seconds to make my daily bank deposits? Do I have exactly what my clients to have in stock? If you answered “No” to any of the above questions, you should call TEKEASE today. We will provide you with a FREE live one-on-one Point of Sale Solution consultation which demonstrates how an integrated Point of Sale Solution will pay for itself in days. Integrating Point of Sale inventory to web store inventory. Integrating of email marketing systems to actual clients. Integration of customer rewards program. Installing a new Point of Sale (POS) system for your business can be an intimidating process. Just knowing something about computers and a little bit about your accounting software is not enough to ensure your system is properly implemented. Your new POS system is perhaps the most critical piece of equipment for your business and it is essential you have it properly installed. Using a non-certified computer expert can cause serious long-term problems to your business accounting process. If you have recently purchased a new POS system for your business and are struggling to properly install it, you should call us today. We are experts in assisting retailers setup their Point of Sale systems properly. Help you develop and implement inventory management. Help you understand purchasing and receiving. Connect your POS System to QuickBooks. Provide your team with necessary system training. Connect your system to employee time keeping and payroll services. Conversion of Inventory and Client data from old POS system to new POS system. Conversion from from Peachtree versions 2001 and later or Microsoft Small Business AccountingOffice Accounting up to 2009 into QuickBooks 2008 and later Pro, Premier, and Enterprise Solutions editions. Certified QuickBooks and QuickBooks Point of Sale Consultants. Qualified Onsite Technicians to properly install and secure your network. Ongoing onsite and remote support services for QuickBooks and QuickBooks Point of Sale solutions. Have Questions? Call us today at 877.693.7566.